Welcome to the Burlington Suzuki School of Music website. The Burlington Suzuki School of Music welcomes you! Please feel free to peruse the web pages listed to the left under main menu. We hope it will help answer your questions. 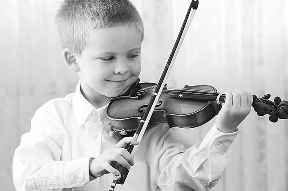 If you are interested in music lessons for your child and would like more information, please contact the coordinator, who will be able to answer any questions you have and help you register your child for lessons. On Facebook? Join the Burlington Suzuki School of Music Facebook Group. You'll be able to stay up to date on upcoming events, etc.